Here is the tutorial, about how you can update your Vivo V5s smart phone? This tutorial includes How to update Vivo V5s using Recovery Mode, Where to download Vivo V5s official firmware updates and here is the example of Firmware updates version of "PD1612DF_EX_A_1.9.13", this Vivo V5s Upgrade Package PD1612DF_EX_A_1.9.13 ONLY FOR Thailand, Malaysia, Pakistan, Philippines, Vietnam, Indonesia, India and Cambodia. If you want to download the official firmware updates for your Vivo V5s phone, then please go the official website of Vivo Smartphones or you can directly visit the official Vivo V5s 1713 download updates page from the below link. How to Update the phone Using this firmware? Download the firmware upgrade from the above link. Copy the full update package to the SD Card or you can use Internal storage. Then reboot the phone and wait until the boot process is complete and you are done. 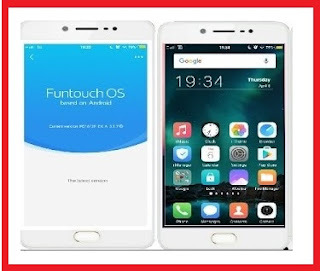 In this way you can install the firmware update package on your Vivo smart phone or you can use the online update from the phone itself, for this the phone should have connected to the Internet with good connection speed. How to do Vivo V5s Firmware Update? How to update firmware using your phone? First connect the phone to the Internet, either using SIM data or using WiFi. Now go to "Settings" and scroll down to "System Update". Then let the phone to search for any Firmware update is available for your device, if firmware update is available for the model, then it will show the firmware details and at the end of the screen you will see "Download and Install". Read carefully the instruction given on the download screen and then click on "Download and Install", wait until the download process is complete. After download complete the device will reboot automatically and install the updates for the device. Do not interrupt the update process, please wait until it finished. Note: When update the phone, the battery should be charged to at-least 70%, you can use charger during the update process to avoid interruption or you can read the user manual available on Vivo website. After complete the update process on your Vivo phone, you can use the phone, to know about the current firmware version just go to the "about phone" under the "Settings" menu.